Zion Baptist Church was organized in August 1843. The church started with about twenty-five members and had grown to over seventy before the beginning of the Civil war. In 1861, when the Civil War came along, members of Zion Baptist were scattered causing the church to close until after the war was ended. 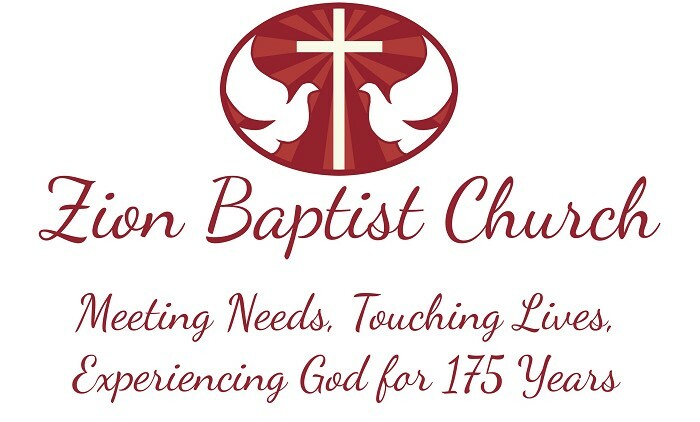 In 1868, Zion Baptist began to reassemble and reorganize the church. Five Carter County churches met and organized the Watauga Baptist Association. Zion Baptist was a charter member of this association. In 1892, the church voted to relocate from the Big Springs community location to Gap Creek. The site across from the present location was selected. The property was purchased on March 22, 1892 for $12.50 and the deed was written in the name of Zion Baptist Church and notarized on January 4, 1895. In the mid-1960's, land was purchased across the street and the present location was constructed. In the 1980's, under pastor C.W. Snodgrass, a fellowship hall was constructed and a new wing added for more classroom and office space. In 2001, the need was to again expand the existing sanctuary and parking lot. In 2008, the church called Dr. D. Alan King as pastor. In 2009, a new forty space parking lot was constructed. In August 2010, a new sanctuary extension was added that provided twelve additional pews. Plans are in the works for a new fellowship hall or addition to the existing one. The people of Zion give God all the praise for what He has already done, He is doing, and the future plans He has for this church. The culmination of salvation and the final blessed and abiding state of the redeemed.